SAP UI5 developers can use different themes to change the color and visible atributes of their web applications. SAP provides pre-installed themes for developers to use in their SAP UI5 application web pages. 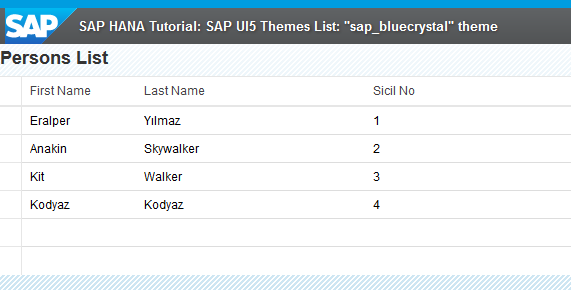 In this SAP UI5 tutorial, I listed 6 themes which can be customized by changing the data-sap-ui-theme attribute of sap-ui-bootstrap script object defined with bootstrap script tag. 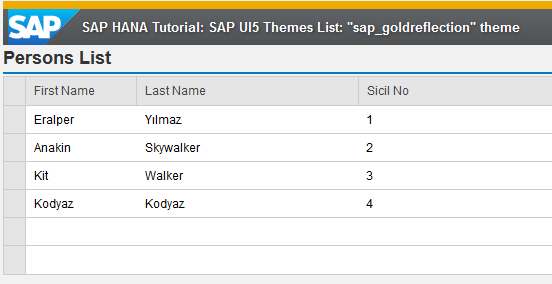 SAP UI 5 developers can replace the below script where the theme for HTML5 sap-ui-bootstrap object data-sap-ui-theme attribute is set with one of the theme names listed above.